John Hardy chandelier earrings from the Bamboo Collection. Sterling silver with carved bamboo motif. 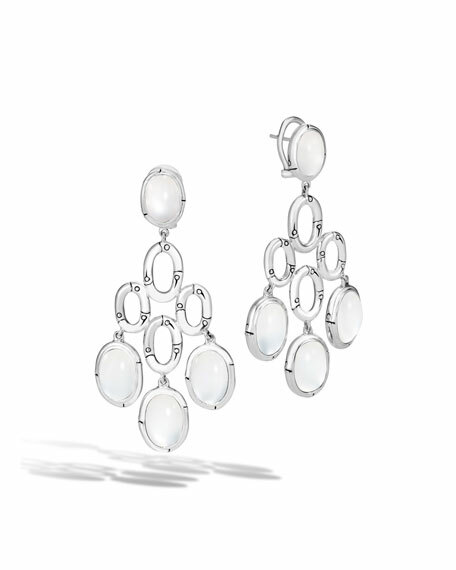 Oval, bezel-set white moonstone cabochons. Cabochons, approx. 12 x 8mm and 10 x 7mm. For in-store inquiries, use sku #2139301.